Home Lifestyle Why there are so many wasps this time of year. You may have noticed the swarm of wasps frequenting our gardens, uncovered food and drinks. They are literally everywhere and they’re not going anywhere else fast. The unusually hot summer has come with a price, resulting in a boom in wasp numbers and the little blighters may still be thriving well into autumn. 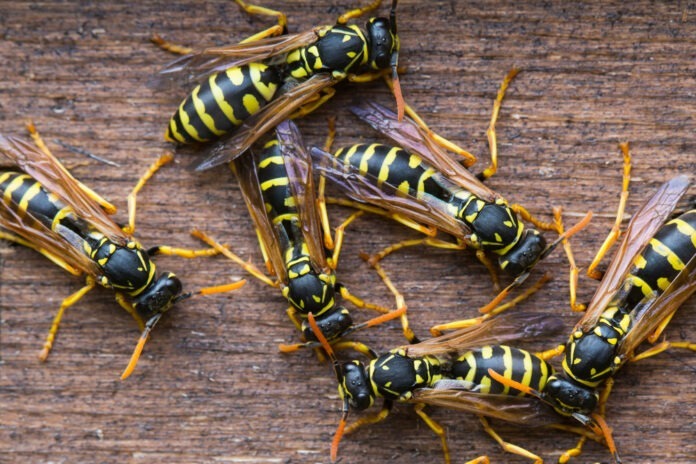 However, the British Pest Control Association have claimed that its controllers had reported a quadrupling of call-outs to deal with wasp nests. It appears that because of the early abundance of ripe fruit in gardens, wasps are more lightly to sting because they may be slightly inebriated. The Met Office has predicted that the glorious weather may last well into the later months of the year, even reaching October and because of this, wasps will be lasting longer than usual. By the time autumn arrives the queens should be in hibernation, so wasps will be on the lookout for sugar. Previous articleAn adult ball-pit is coming to the city complete with retro arcade and beer-pong. Next articleTake a trip to one of the biggest Next stores in the UK at intu Merry Hill this Bank Holiday.